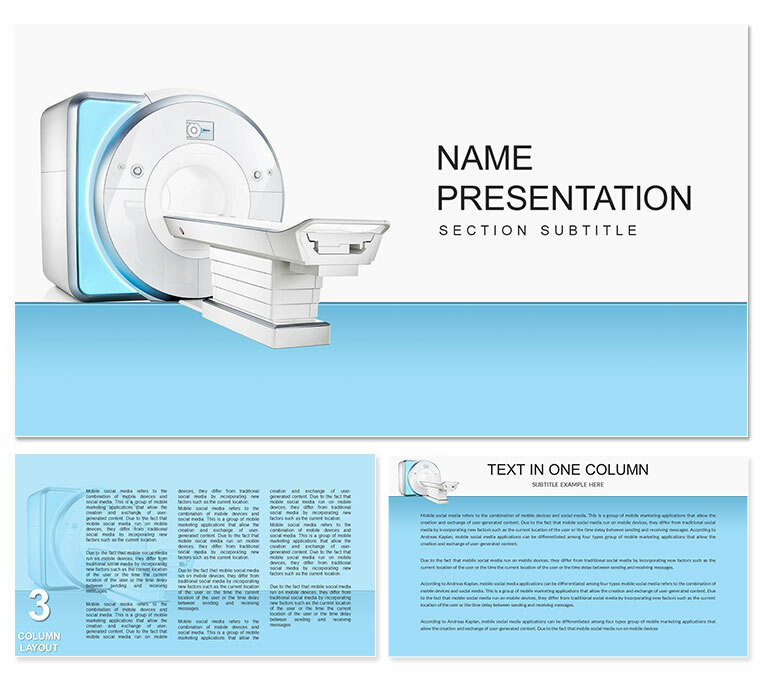 Magnetic Resonance Imaging Keynote template - Themes contains several prepared backgrounds, slide styles, fonts. Against the background of the template depicted: medical equipment MRI. Using Magnetic Resonance Imaging Keynote template with this background allows you to more thematically make a presentation.